With the help of Ahrefs' Link Intersect tool, you can easily find sites that link to your competitors (or their pages) but don't link to you (yet). Once you have added the respective links, click on "Show link opportunities". If you click on the down arrow any of the domains, you'll get quick-links to in-depth data of the particular domain and a snapshot of its statistics. Click on "Export" to export the list of intersecting referring domains. Click through on the number to view the actual backlinks originating from the intersecting referring domains. If you want to export the actual backlinks from the intersecting referring domains, click on "Export" to export the list of backlinks. Do note that you will need to do the export of the set of backlinks from each intersecting domain separately. 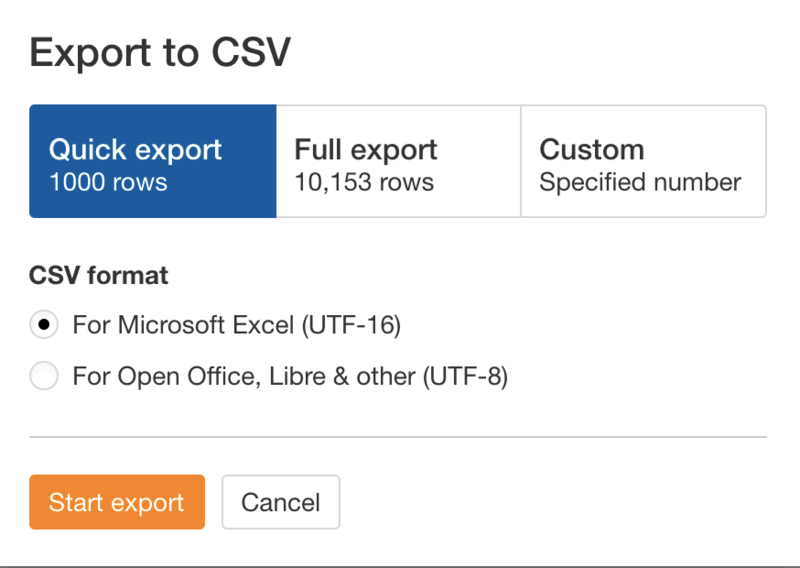 Once prompted, select the export type and click "Start export."